Doing some more packing of my office and here is another pile that needs documenting. I thought these were pretty neat looking when I found them about 10 years ago. I placed them in ziplocks to keep them from getting scratched and then put them away for another day. That day has come. 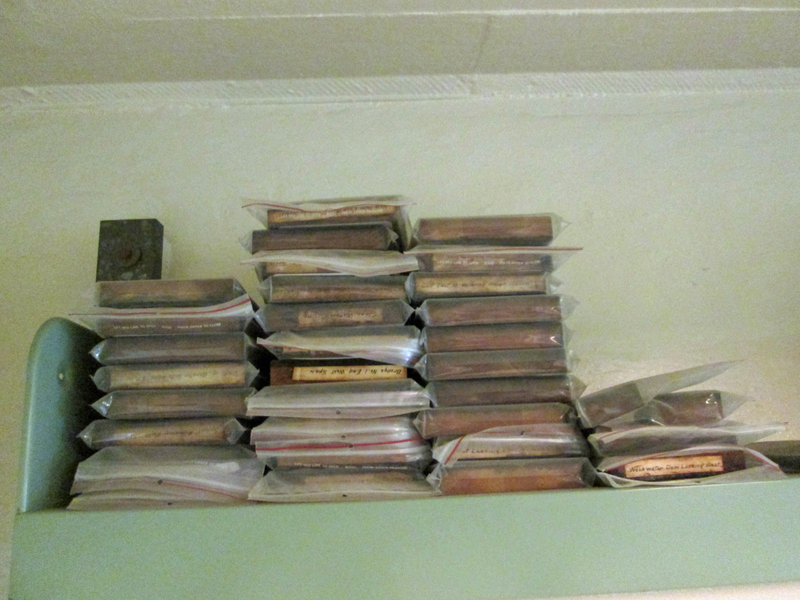 The three piles on the left are each about 5″ x 7″ x 7/8″ thick. The smaller ones to the right vary. 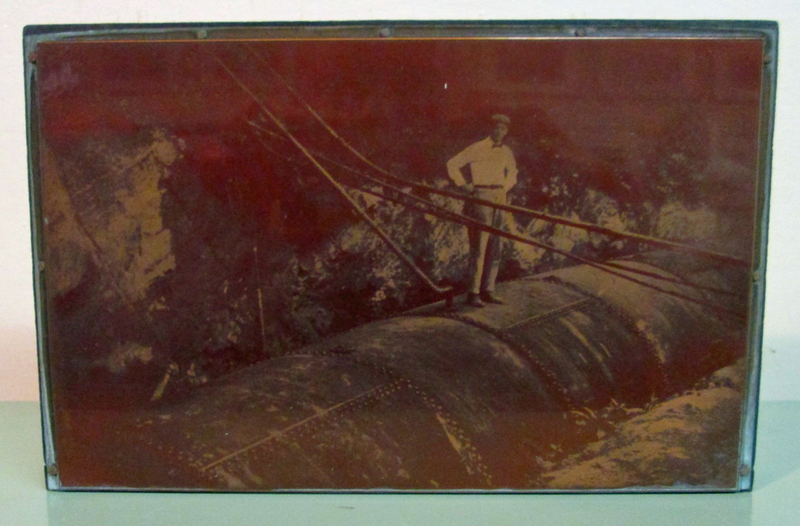 Here is one removed from its sleeve and placed on shelf to be photographed. Same copper plate scanned with color settings at 300dpi. Trying to be careful not to scratch the glass surface of the scanner. Kind of shabby looking, so I scanned it in Black and White. Better, but not as good as the original below. 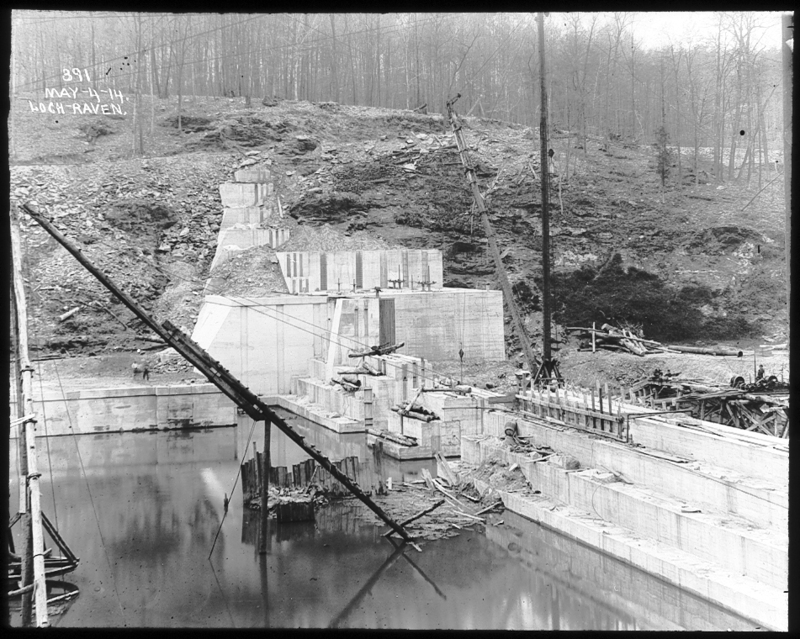 This one is an electronic copy from a glass plate negative I scanned back in 2007. 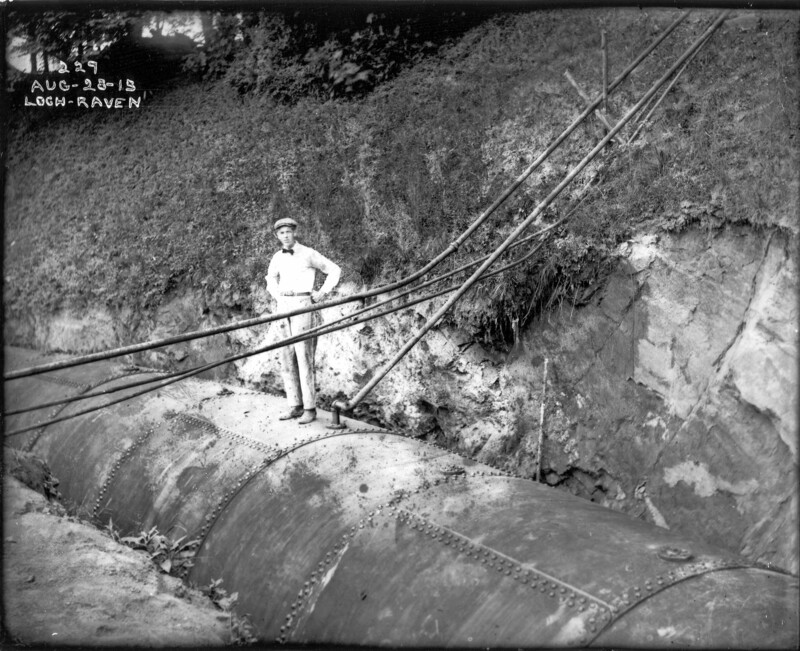 In 1913 (I know, it looks like 1915 but it is not) the contractors performed a pressure test on the 10′ conduit from the new dam at Loch Raven to the old dam. Tried another one. Color scan first, but at 720 dpi. Pretty bad looking. Still no good. I had trouble finding a good copy of this. 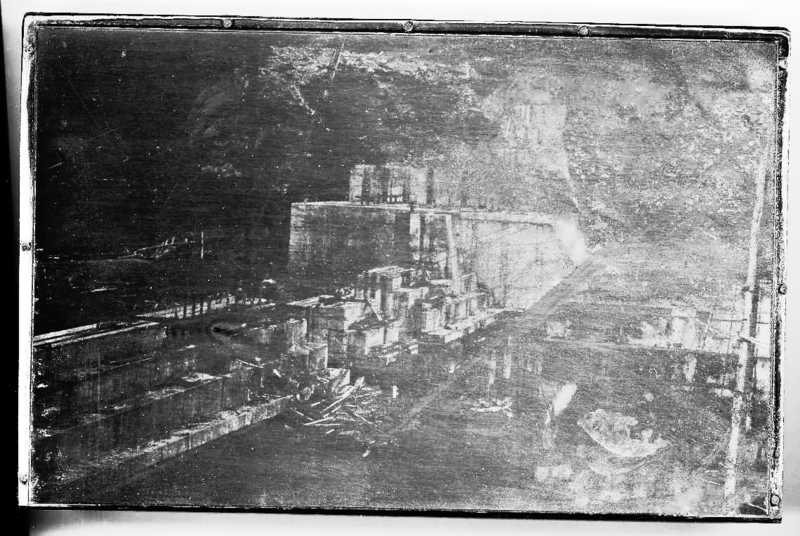 It was not in the glass plate negative groups and not to mention the difficulty of looking for a reverse image. 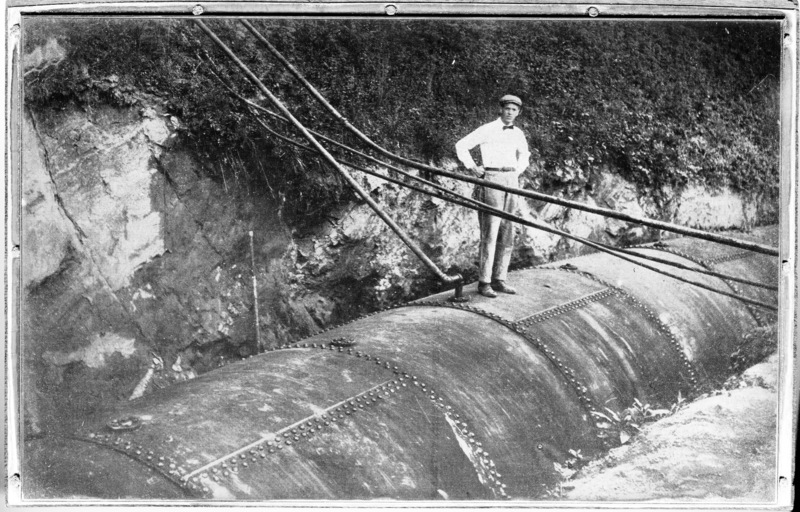 Looked in the lantern slides and there it was. 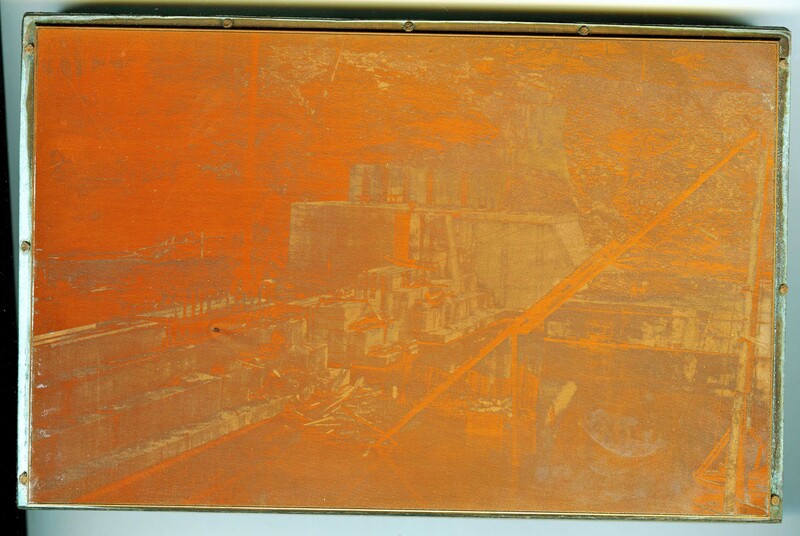 There is a nice video at this link which shows the Photogravure Process. Glad we have progressed into the digital art stage! Not sure I understand your comment? You said you had them packed away for 10 years. Ha! Sorry, misunderstood! Well, too late as they are re-packed and placed in storage. Retirement is soon and I am running out of time.